I smell the all-too-familiar scent of rain on asphalt, a comforting mixture of memories & sandy gravel. The sky is completely covered in a blanket of grey. Fast forward to the very next day. The sun is out & the sky is now a happy shade of baby blue, not a cloud in sight. Ah yes, it's officially June. My monthly reflections have become a habit to wrap my head around the previous month. Here's my May from A - Z.
Aldi - Grocery shopping is one of my favorite hobbies. I get a genuine thrill going down each shopping aisle, meticulously scouring every shelf. Fred & I visited Aldi multiple times since its grand opening on May 19. 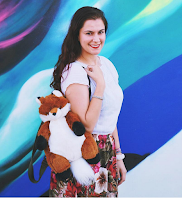 My go-to item? Their imported chocolates. Boochcraft - I'm pretty late in the kombucha trend. Kombucha is a fermented drink made with tea, sugar, bacteria, & yeast. I sure you it's quite delicious, but it's an acquired taste. Boochcraft is a high alcohol (7% ABV) kombucha that packs a scrumptious, tangy punch. 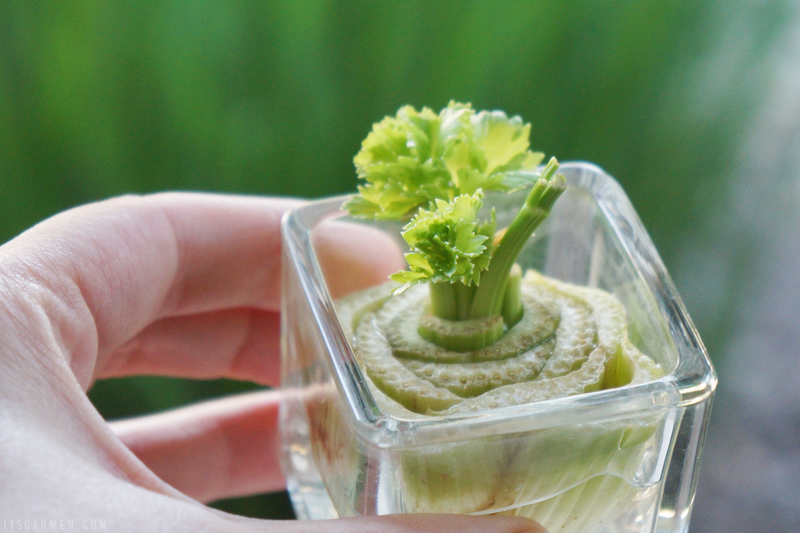 Celery - I chopped off a head of celery & instead of tossing it, I placed it in a cup of water. It's been about two weeks & the cutting is growing nicely. We'll see how it goes. Donation - It's time for me to donate the clothes I've been holding onto. Some of them contain wonderful memories. Some don't fit any more. Some have simply run their course. I'll donate the ones that are still wearable. Empress Hotel - I had the opportunity to enjoy a relaxing night at the Empress Hotel in La Jolla, California. I loved the warm embrace of the whirlpool hot tub as I watched movies & slowly sipped on wine. You can read about my experience here. 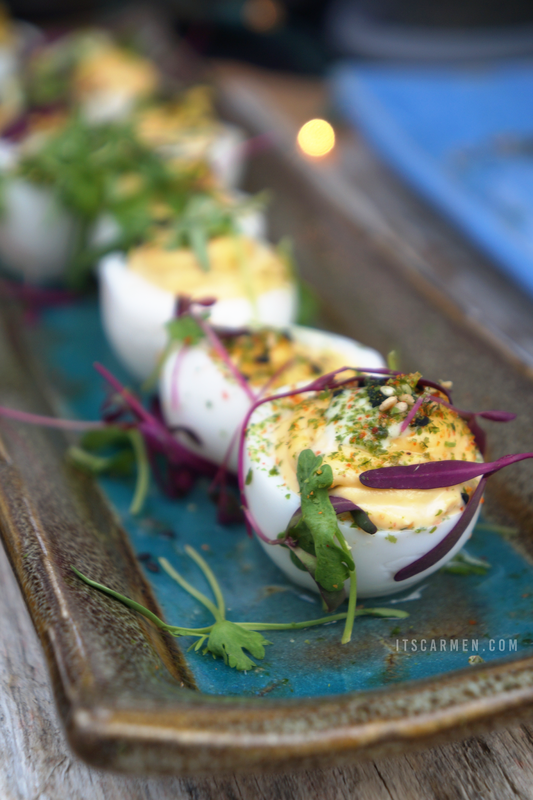 Foodie Fest San Diego - I actually attended two events for the festival & tried so much good food. I took my sister to one of the events to give us something to do other than watch Project Runway together. The panna cotta was amazing. Glow by JLo - This scent sends me back in time. I just love everything about it. It takes everything within me to wear my other perfumes, so I don't use this all up at once. You can read more about it here. Henna - I love to henna my hair because it's a natural way to give my locks some color & it's extremely conditioning. No conditioner even compares to how soft my hair feels after I wash out the henna. 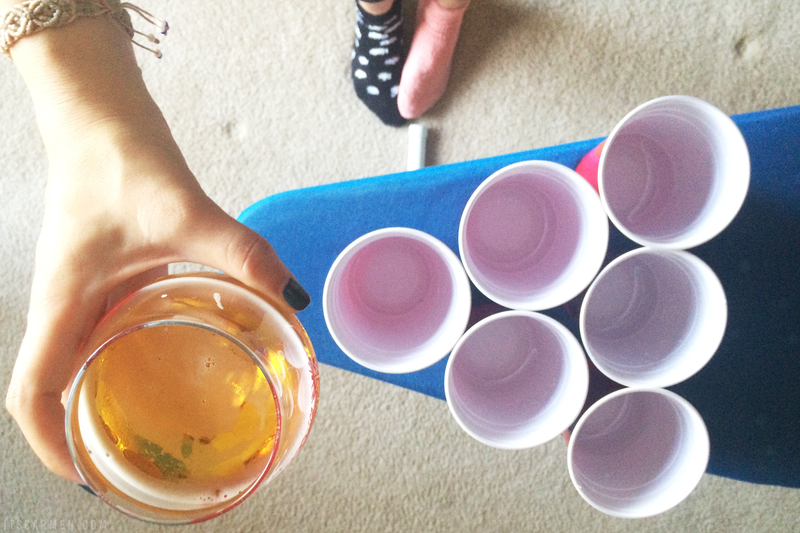 Ironing Board Pong - Sometimes you have to improvise. That's what I've learned in life. Fred & I got together with an old high school friend & ended up playing an improvised version of beer pong. It was pretty fun. Jasmine - The smell of fresh jasmine is so alluring. I've been seeing it everywhere. Did you know that jasmine is related to olives? Kindheartedness - You never know when someone's having a bad day. A bit of happiness or kindheartedness can go a long way — farther than you'd think. Lorac Alter Ego Lip Gloss - I'm not the biggest lip gloss lover in the world, so I decided to try something small but versatile. 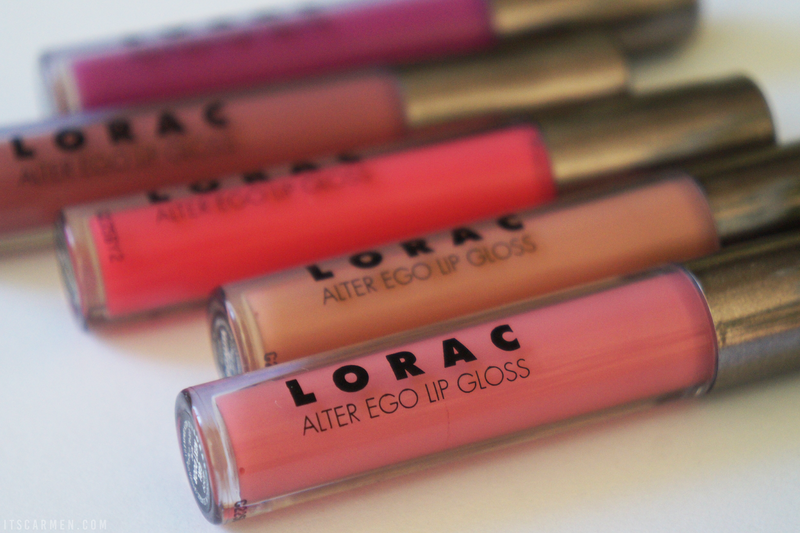 I bought the Lorac Alter Ego Mini Lip Gloss set. You can read my review here. Makeup - Two mascaras, liquid eyeliner, & eyeshadow have officially made their way into my collection during May. NCIS - This is the show I put on in the background while I'm doing work. I don't pay strict attention to it but I understand the plot line. My other background shows are Friends & How I Met Your Mother. Overtime - I found myself working a lot during the month of May. It was hard to get a break. Paella & Wine Festival - May was filled to the brim with unique food experiences. 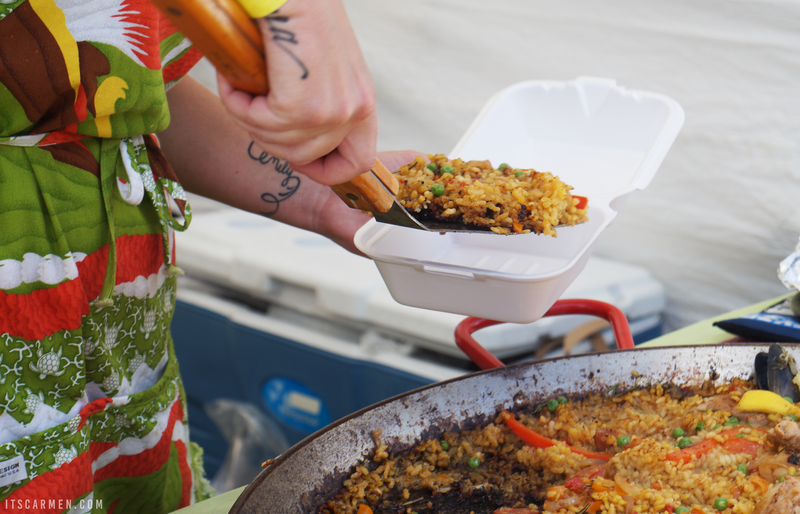 I attended the Paella & Wine Festival in San Diego & was able to try paella for the very first time. I'm sold. Quiet - I wanted/needed some rest, some peace & quiet. I need to spend more time unwinding each & every day. Reporting - Month end reporting is the bane of my existence. It takes ages to capture the myriad of social media statistics for 18 different brands. Aahhhhhhh. Strawberry Rhubarb Pie - Do yourself a favor & find out where you can get a strawberry rhubarb pie near you. You won't regret it. Tomatoes - I am not a tomato fan. I've disliked them ever since I can remember, but I always, always, always try them. Oh you know, just in case my taste buds changed. They haven't. 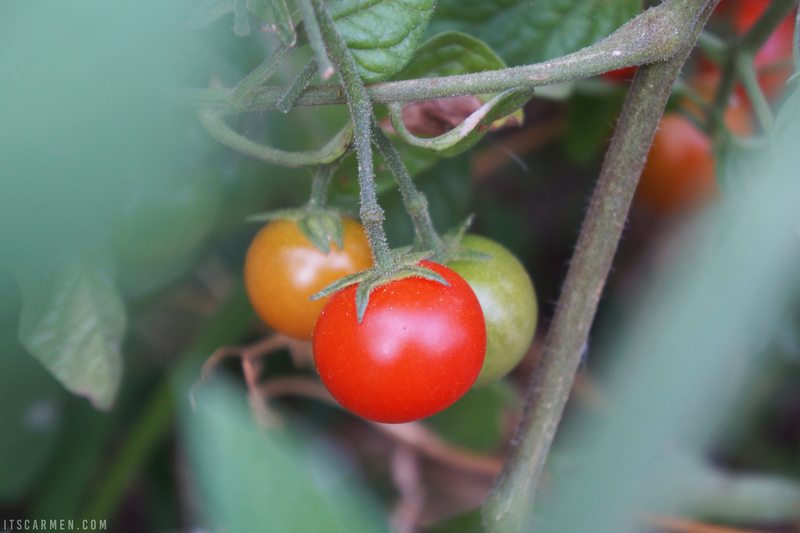 I did, however, try a fresh-from-the-vine grape tomato & it wasn't horrible. That's a good sign. Unexpected Selfies - Everyone's taken a mirror selfie but when was last time you took one with your reflection in a spoon? Never? Try it out. See mine here. Vegetarian Recipe! - I used to be more diligent with my vegetarian recipes but have slowly tapered off. I had the opportunity to partner with Ragu, so it prompted me to create a new recipe. Read it & make it here. 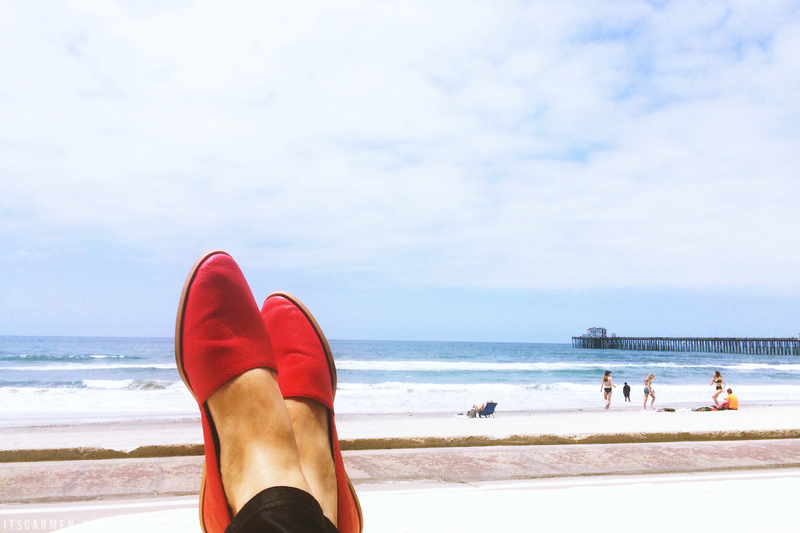 Weather - The month of May was relatively gloomy for Southern California standards. I rather enjoyed it since we rarely have it. Yucca Root - Yucca root? More like yummy root! I really thought I was clever when I came up with that. I never really knew what they tasted like. It's very reminiscent of a potato. Zootopia - Finally watched Zootopia with the boyfriend & it was fantastic. It's perfect for children but has some grown up issues weaved in like stereotypes, class rank, & bigotry. Really good! Loving this post! May sounds like it was a full exciting month. LOVE this post! Summarizes so much in one post! And I truly love kombucha. I love the idea of the A-Z for monthly updates! I want to try what you did with the celery. Hope I can remember that. Lovely post! I really like the A-Z idea! It's odd that I've never thought of putting henna onto my hair because it sounds absolutely ingenious? Will have to give it a go soon! & ironing board beer pong sounds like it was quite something! How can you not like tomatoes?! They are the best thing in the whole world.